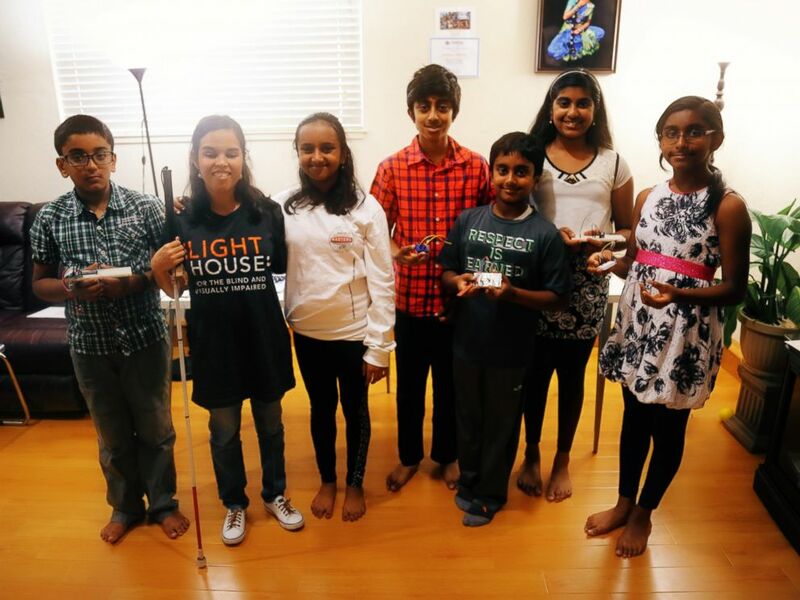 Growing up in the shadow of Silicon Valley, 12-year-old Hari Bhimaraju of Cupertino, California, has always been fascinated by science and technology, and she’s putting her skills to good use by creating tools for the visually impaired. The first project she created was a periodic table teaching tool for the visually impaired called the “The Elementor” when she was in the sixth grade. She combined her love for chemistry and atoms and used a Raspberry Pi computer to create the low-cost tool. The system uses sound and voice features, and LED lights for people with low vision to describe the position of the element’s electrons. Hari’s project was part of the sixth annual White House Science Fair this past April. She presented “The Elementor” animated teaching tool and met President Obama. “Shaking hands with the president was, of course, amazing,” she said. Angel Canales/ABC News Hari Bhimaraju, 12, poses with her “Monkey Science” students at home in Cupertino, California. 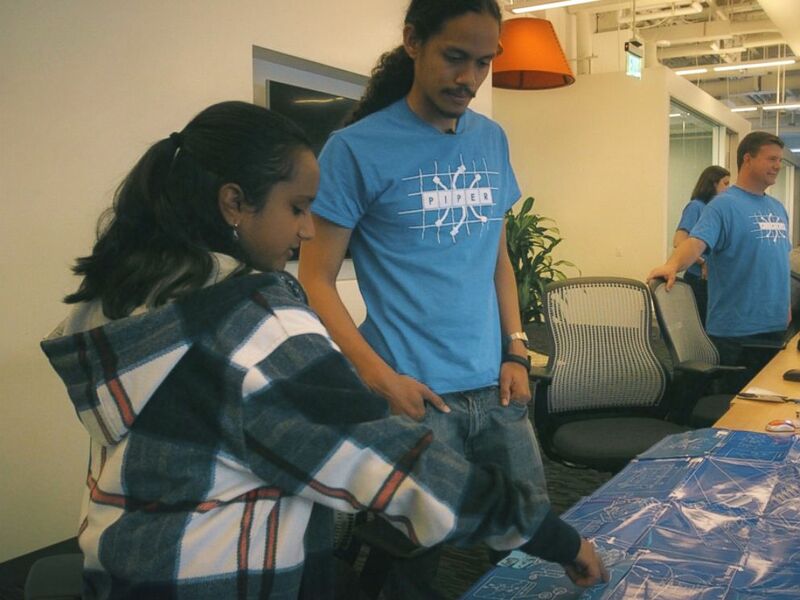 Whether it was science, Java language programming or robotics, her parents have been her No. 1 supporters. In keeping with her passion for science and helping the visually impaired, Hari also created a medicine management system for people living with vision loss who aren’t able to read drug container labels and package inserts. She created an iPhone app that scans the labels using a radio frequency identification system that shows the expiration dates, name of the medicine and whether it needs to be refilled. Hari’s talent has been noticed tech companies like Piper, where she is a student innovator. Angel Canales/ABC News Hari Bhimaraju goes over blueprints at the San Francisco based tech company Piper. ABC News’ Arthur Niemynski and Adam Rivera contributed to this report.